Rationalization is one of the most important steps in the alarm management lifecycle. ISA-18.2 standard describes rationalization as "the process to review potential alarms using the principles of the alarm philosophy, to select alarms for design, and to document the rationale for each alarm”. In simple words, alarm rationalization is a process of reviewing an alarm system and identifying bad actors and alarms with no defined operator response. The main purpose of rationalization is to systematically analyze all existing or potential alarms against the criteria set for alarms in the alarm philosophy document, to determine genuine SCADA alarms and develop a prioritization level for them, and document appropriate response for each alarm. Effective alarm rationalization results in the reduction of total alarm count, elimination of nuisance alarms, reduced operator load, better prioritization of alarms. 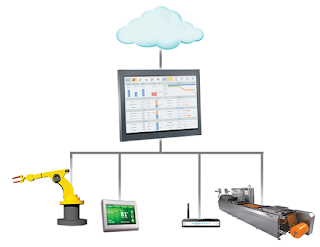 All this can ultimately lead to improved operator awareness and efficiency. It helps reduce the number of configured alarms and ensure operators are presented with the right information so that they can easily differentiate between critical alarms and regular alarms, and take correct decision at the right time. It can also lead to reduced number of alarms during plant upsets. Alarm rationalization helps prioritize alarms, which enables operators to respond to the most important alarms first. The rationalization process helps reduce the number of alarms during steady state operations to almost zero – also called 'dark screen' or 'black screen' concept. This can be achieved by eliminating nuisance alarms, reducing standing and consequential alarms, and fixing broken field equipments. To define alarm attributes including priority, setpoint, deadband, frequency. Rationalization allows verification and documentation of other alarm parameters such as detection time, consequence, response time, required operator action, training or manuals. Rationalization is a deliberate process that companies need to undertake to develop a clear picture of the alarm system. It provides the essential information needed to begin implementing strategies to improve the system and reduce operator workload. Eliminate alarms with no defined response: when an alarm is identified with no defined operator response, ask whether it should be an alert at all. It can be given a lower priority setting or changed to a less distracting alert. Tuning alarm settings, fixing known issues: Sometimes broken field devices keep generating alarms, which are quite distracting but operators eventually learn to ignore them. These out-of-service alarms are easily identifiable and can easily be fixed by adjusting or replacing devices. Adjust deadbands of repeating alarms: Alarms generating excessive notifications may be too sensitive. Adjusting or adding a deadband can be utilized to reduce noise. Review alarm floods to determine noise vs. value: Plant upsets usually generate large number of alarms in a short span of time, not all of which are valuable to managing the important area(s) of concern. Reviewing these events and identifying alarms that need to be set to a lower priority or silenced in these events can ensure the proper alarms are identified and responses undertaken quickly. Set alarm priorities correctly; utilize alarm shelving: Rather than turning off alarms, lower priority alarms can shelved, marking the controller as acknowledging the alarm but being held for later action so as to clear alarm noise. Through identifying and improving the alarm system, direct costs can be reduced and the potential for greater efficiencies can be realized. Alarm management is a continuous improvement process, much like a journey, not a one-time program and while there are costs associated with the overall process the potential benefits are way more. Feature Article: Plant Security, Pipeline November/2013, www.pipelineme.com - ‘No Call for Alarm’.